Last week we held our Maker Days: two days of personal projects, experiments and new skills. Over the coming weeks we’ll be featuring a round-up of the projects that the Edenspiekermann team worked on, from developing online cookbooks to making music out of code. First up, Robert Stulle tells us about Project Birdhouse. The ESPI Birdhouse is an Internet of Things art installation developed by Berlin-based artist Albert Raven and Edenspiekermann. The project combines the digital and physical. Wooden birdhouses in different parts of the world are inhabited by one virtual bird, which flies between the locations and comes and goes according to its own preferences (and Richard’s programming). We wanted to create an experience that was both unexpected and fun, and could connect people and offices around the globe. Our group worked on the project for two days, using a combination of hardware and software, from littleBits and Arduino to the wooden birdhouses themselves. The end result is a working prototype. Creating the birdhouses meant sacrificing the cake buzzer, a previous Maker Days project, but it was worth it. Out with the old, in with the new. And we got to use the hammer. The bird will have a neon pink home in each of the Edenspiekermann offices: Amsterdam, Berlin, Los Angeles, San Francisco, and Singapore. 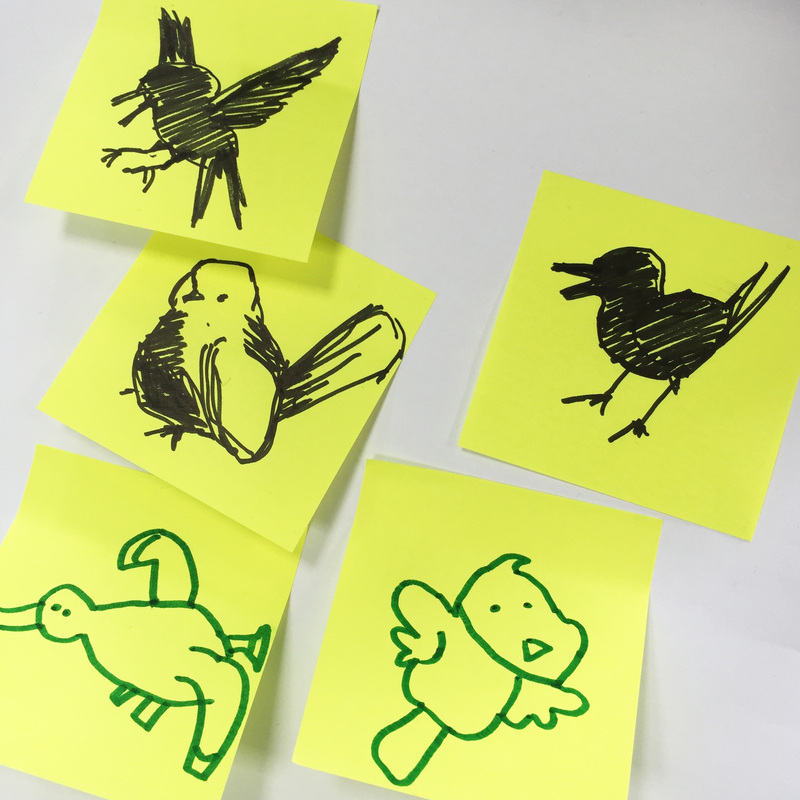 The virtual bird can only visit one office at a time. If it decides to show up, you can hear it arrive, rummage about in the house, sing from time to time, and then leave again. You can try to attract it to your birdhouse, but there’s no guarantee that it’ll show up. You can keep track of the bird on a website that shows its current location and its mood. 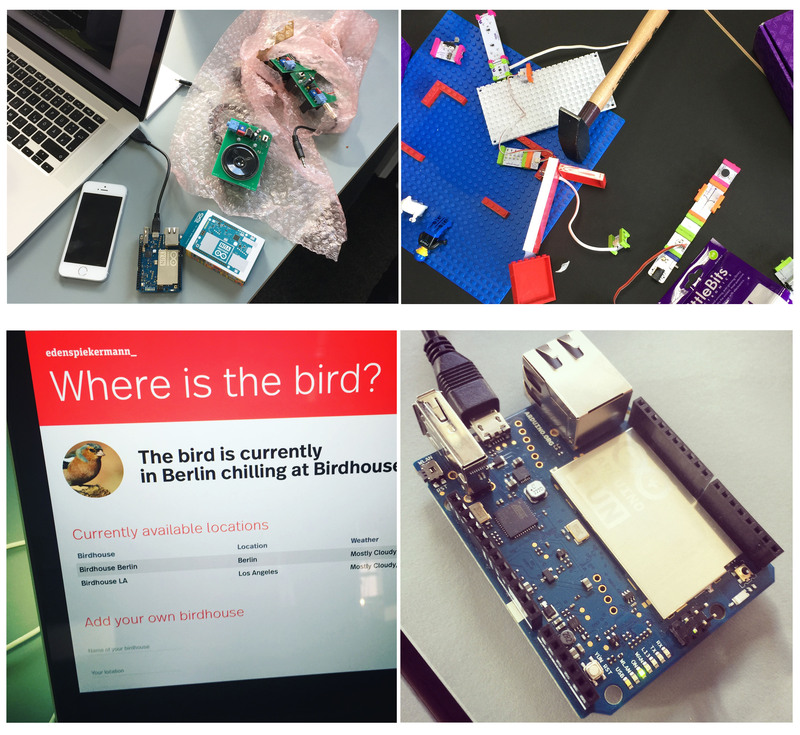 At a later stage we want to make the software and the hardware setup available through open source, so anybody will be able to build their own birdhouse, connect them to our system, and enjoy the moment when the bird comes to visit. Team Project Birdhouse: Carolin, Moritz, Oliver, Richard & Robert.